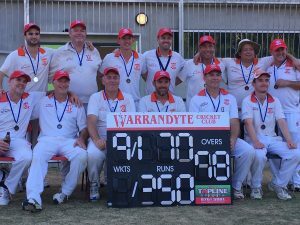 Warrandyte Cricket Club have had a highly successful end to season 2016/17 with their Fourth XI team and Under 14s junior team winning their respective RDCA Premierships. 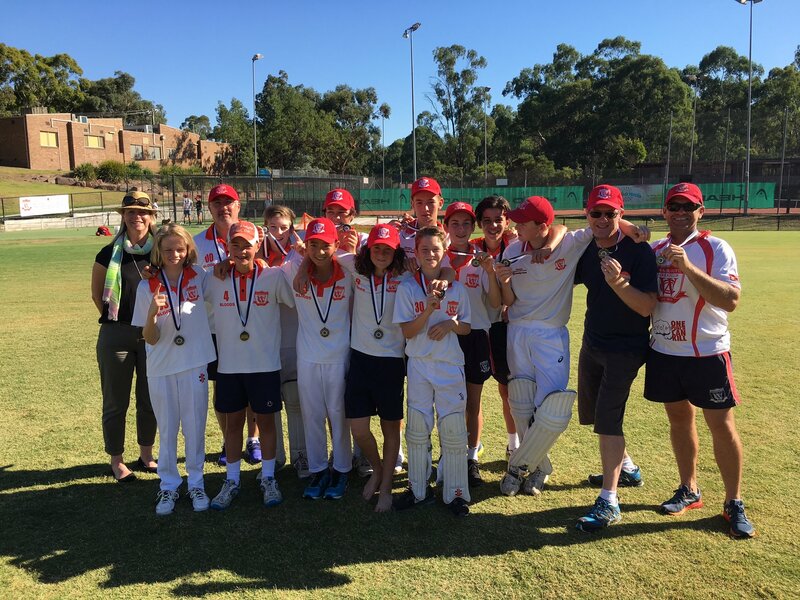 In back to back games at the Warrandyte Cricket Ground, the Under 14s started off the successful weekend for Warrandyte with a five-wicket win. The Under 14s won the Alan L. Reidy Shield after being asked to bowl first against St Andrews at home. Chris Rakuscek, coming off a season splitting his skills between junior and senior cricket, got the wickets tumbling early, taking two top order wickets to have St Andrews reeling. Rakuscek (4/23) and Brady Poole (2/16) opened the bowling strongly, with Tom Jackson (2/18) and Lachie Haberfield (2/22) taking the remaining wickets on day one of the final, to dismiss the opposition within 33.2 overs and give their team a total of 108 to chase for the title. Warrandyte capably chased down the total with Ethan Ward (13) retiring off his 50 balls at the top of the order while the middle order capably chased the total down around him. Warrandyte batted exceptionally well in partnerships to make quick work of the runs, with Poole (43) guiding the run chase home with some smooth hitting, before Jackson (11) hit the winning boundary to give the juniors win. The flag tops off a great season for the junior program, with Poole becoming one of the youngest players in club history to play First Eleven Senior Cricket, and many team members making their senior cricket debut. 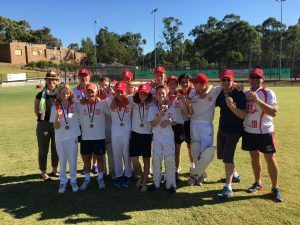 Following the big juniors win, the Fourth XI hosted Heathmont Baptist to complete for the Neil Tull Shield also at the Warrandyte Cricket Ground. Warrandyte faced Heathmont for the fifth time this season, having beaten them successfully all season, including in the Qualifying Finals where they arguably at their tightest hit out of the season. After captain Dean Gidley won the toss and elected to bat, Warrandyte faced some tight early bowling before losing both openers, Goddard (10) and Molyneux (9) in tight procession before the first drinks break. James Weatherley (32) combined with Daniel Wellesley (105) with an excellent partnership to put Warrandyte back into a leading position, before Wellesley would go on to play what would be a match winning innings. Wellesley, joined by Brett Kline (34), Ison (16), Gidley (22) and Prangley (14), would escalate the run scoring following the lunch break on day one, with some late hitting ensuring Warrandyte finished with a highly competitive 8/250 from their 70 overs in front of a large, vocal home crowd. Wellesley’s century will long stand as one of the greater innings seen at the Warrandyte Cricket Ground, with his control and speed of bat impressing all that watched. A confident Warrandyte returned the next day to finish the job, but knew they faced an on form top order from Heathmont. Heathmont’s opening partnership sent nerves through the Warrandyte camp with an opening stand of 44. However, Ison would take the crucial opening wicket and from there an essential procession occurred. Stephen Warr toiled away from the IGA end of the ground for 16 overs throughout the day, taking a crucial wicket in the Heathmont middle order, combined with some persistent line and length from Prangley. Ison was matched with his excellent form with the ball by captain Gidley, who finished with the figures of 4/35 including three wickets in tight order following the lunch break. 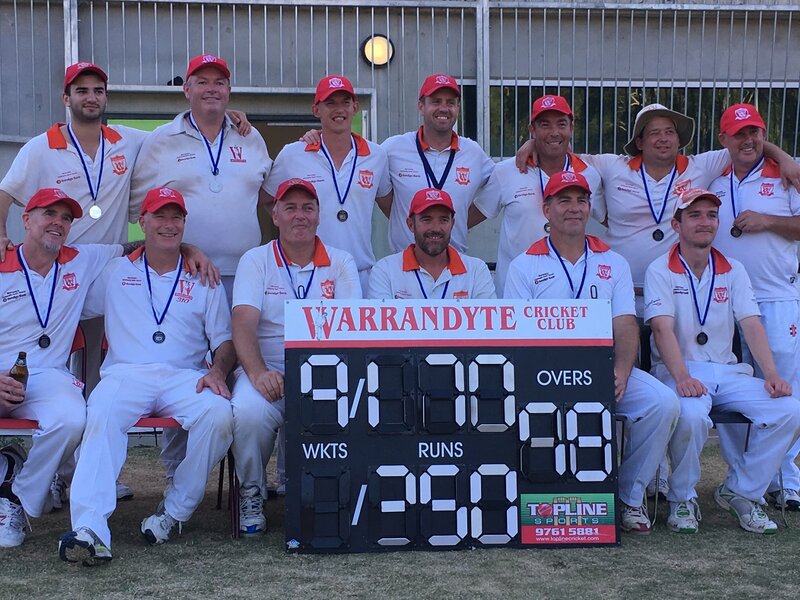 By the time Daniel Woodhead took the final wicket, caught behind by Goddard, Warrandyte would win by 80 runs and knew they had the flag in the bag. The win marks two premiership flags for captain Gidley, but the first for club lifetime member Stephen Goddard, who after 25 years of playing at the WCC will savour the weekend’s event for a while.